Club Penguin Cheats by Mimo777 Club Penguin Cheats by Mimo777: Carl Invades Club Penguin? Dood! I think Carl has invaded Club Penguin and stole all the servers! Check it out, they are gone! 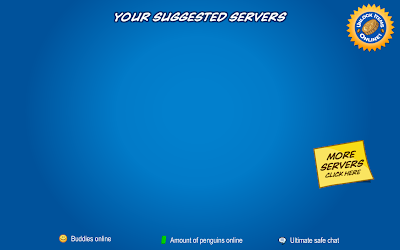 Where could these servers have gone? Anyone wanna help me hunt for Carl... again? UPDATE: The servers are finally back up! yo mimo this is off topic but the 17th of may is the norwigean day and u get to eat ice cream and cake all day! on topic wat do u mean hunt for him on the competur or something? Um... who or what IS Carl??? Is he like a bug that affects web sites?? By the way, Carl doesn't even let me log in! I wanna catch him already, he drives me CRAZY!!! I will help to hunt the Carl but how? Who is Carl the Hamster? who in the world is carl?? You can NOT enter Beta Team anymore! Word TEAM has not got link! The medieval party normally comes early for UK. Probably Saturday, but for Canada will be Sunday. Carl freaked my blog all the way to last tuesday. I had to Do all my posts al the way back to today! That was like 10 posts! Are you looking at the right page/post? Carl is the hamster who destroys files or something, kind of like Preston the Penguin (check out my youtube videos to find out who HE is)and I think the glitch with the BETA team is probably cuz it was a one time thing, it wasn't real. They were only using it as an advertisement for their "game"
Oh, for those who don't know who Carl is he is the glitch guy. He causes all the glitches. Party on CP it will be epic! Comment PLZ COME!!!! PLZ POST!! mimo,Carl also invaded quest #1 of the medieval party. !? @$ you Carl!!!!!!! !